Brampton was selected as an Ontario stop on the Rogers Hometown Hockey tour 2018. The community partners have selected The Gift of Giving Back as the event's charity of choice. We will be on-site during the event times collecting food to support our community social food providing organizations. 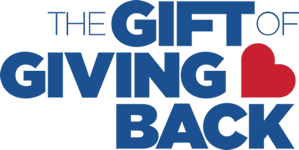 Please look for the Gift of Giving Back logo and signage on-site of where food can be dropped off.